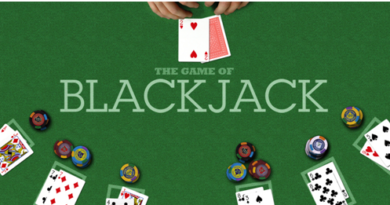 Blackjack is very popular casino game to be played at both online and land based casino. Casinos in India offer this game to players with great promotions and bonus offers. You can play this game at online casinos like Indio casino and other real casinos where you will find different variations to enjoy this game. Blackjack also is known as game of 21 and is played between a player and a dealer which means that you have to compete against the dealer and not against other players. It is played with one or more decks of 52 cards. Your hand value is the total of all the cards you’re holding. Cards 2 to 10 are valued as indicated, face cards are all worth 10 and aces can either be 1 or 11, whichever benefits you the most. If you’re dealt an ace and 10 as your first two cards, that’s blackjack. This is an automatic win for you unless the dealer gets the same. If this happens, it’s called a push and no one wins. You can play and enjoy many types of blackjack – single player, single player multi-hand, multi-player multi-hand and mini blackjack. Once the wager is placed, click on the ‘Deal’ button. The ‘Deal’ button will be activated only if a bet amount equal to or more than the minimum bet amount has been wagered. The dealer deals two cards face up to you and deals two cards to himself. The first is dealt face up and the other face down. Once you/the dealer stands or busts, the results are displayed just above the ‘Deal’ button. To continue the game with the same bet, click on ‘Repeat bet’ button. To clear the game and place a new bet, click on ‘Clear’. To place a new bet, click on the desired chip denomination. Your current game balance is displayed in the bottom right-hand corner. You need to know the game rules and for that you need to click on Rules to view the game rules. Next click on ‘Exit Game’ if you wish to stop playing. When the dealer’s face-up card is an ace, each player gets the chance to bet on whether the dealer has a blackjack or not. This is done before any other player actions. The insurance wager equals your original bet and is used to cancel out the likely loss of this bet. A winning insurance bet will be paid at odds of 2:1, and since you lose your original bet, you’ll break even on the hand. It is but advised by good players against taking insurance. If you have a bad hand compared to the dealer’s hand you can give up the hand and reclaim half your bet. The casino keeps the other half uncontested. You need a really bad hand match-up for a surrender to be profitable, such as 16 vs the dealer showing a 10. At some casinos, surrenders will not be allowed if the dealer has a blackjack which he then checks for immediately after the deal. If the dealer has a blackjack, no surrenders will be granted and you’ll lose the entire bet – unless you also have a blackjack, in which case it’s a push. This side rule variation is called late surrender. When you get two starting cards of the same face value, you have the option to split the hand in two. You place another bet of the same size as the original bet and play on with two hands. It is legal to split 10-point cards even if they do not form a pair – for example you could split a jack and a king. When you’ve decided to split a hand, the dealer immediately deals a second card to each hand. Now, if you’re dealt yet another pair, some casinos allow you to split the hand again, while others don’t. When you’re done splitting, each of your hands will be treated separately, meaning that you will take cards to your first hand until you stand or bust, and then carry on with the next hand. If you split aces, you are dealt a second card to each hand as usual, but you are not allowed to take any further cards (unless you are dealt another ace and split again). All hands resulting from splitting aces remain as two-card hands. If the second card dealt to a split ace is a 10-point card you do not receive the blackjack bonus for this hand. It does however win against an ordinary 21 made of more than two cards. If the dealer also has a blackjack the result for this hand is a push as usual. In many places the same rule (no blackjack bonus) is played if an ace is dealt as the second card to a 10-point card after splitting. If you’re fairly sure that your hand will beat the dealer’s, you can double your original bet. You’re sometimes allowed to double down for any amount up to the original bet amount. In most casinos you may double down on any hand, but some casinos require an opening hand worth 11, 10 or 9. When you’ve chosen to double down, you’ll only get one more card from the dealer. Blackjack and its variants are available to play at online casinos and you can fund these reputed casinos with Indian rupees to play this popular card game of Blackjack. Many casinos offer Blackjack game real money play that you can enjoy and win even with your smartphones. Just visit the real casinos or online casinos like Spin Palace Casino; Indio Casino; Jackpot city casino and others to play this thrilling and exciting game and grab the generous bonuses that these online casinos offer to its players.